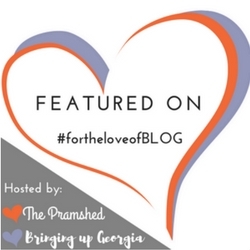 The first blogger to write a post for this series is Berni from Rose Tinted Ramblings – a blog I have only just discovered but which seems very eclectic indeed. Anyway, without further ado here are Berni’s answers to the ‘Words About the Weekend’ questions. To be honest my weekend isn’t always Fri-Sunday. I run a B&B (Cerdyn Villa) with my hubby so, in season, the traditional weekend is our busiest time. It’s also the time when a huge amount of social things go on so I struggle by choice to do the work and engage in the extra social scene opportunities my little town offers. I may live in the middle of nowhere, in the UK’s smallest town but we are also the eccentric capital of the UK so if something weird is going to happen it’s probably going to happen here in Llanwrtyd Wells! For example in January there is the Roman Saturnalia Festival and Mountain Bike Chariot Racing! However, when I do have a ‘weekend’ whatever days they might fall on, it starts with not setting the alarm clock; waking up with your own body clock rather than an abrupt noise interrupting what might have been a deep sleep. It is a much more gentle way to start the day. If I can get away with it, I’ll mooch around doing all the odd jobs; making breakfast, clearing the kitchen, checking social media, wandering in the garden etc, whilst still in my dressing gown. I love not having to get properly dressed. I won’t look in the mirror, tidy my hair or stick on a bra (!). OK this can be a bit embarrassing if its a week day and the postman knocks on the door at 2pm but I guess he’s used to seeing me like this after 13 years! If our son is home from university, (and he does tend to come home as often as he can for the mountains, clean air and mum’s cooking) then we will usually have a cooked breakfast together, then later in the day and into the evenings, play board games. Monopoly is a family favourite but also popular is Risk. We’ll play and chat, maybe have a few beers (wines) and some naughty nibbles. If there’s live music at any of the local pubs we’ll probably go along. Son is a guitarist himself and sings and quite often the evenings turn into jam sessions. I don’t have a musical bone in my body but am packed full of ‘proud mamma’ genes so I am a great advocate and enthusiastic groupie! If it’s a nice day I’ll potter in the garden. I’m a bit weird in that I absolutely love weeding. I lose myself in it. Before I know it I’ll be up to my ears in mud with piles of clippings, roots and debris to clear up. Hubby is magic. He knows that by the time I come round I’ll be too knackered to clear up so he’ll turn up with a cup of tea and a wheelbarrow and help me tidy. Whilst I’m getting muddy Hubby and son, if he’s home, will probably be chopping logs, or fiddling with car engines. We’ll all be outside, in earshot of each other and comfortable in our separate roles within our shared space. Then, if it’s not raining, we’ll often end the day with a bonfire. Sometimes just the three of us, other times with a few friends. Sometimes (OK usually) the boys will have a beer. Sometimes we’ll take the guitars out there and have a sing song. If its been a particularly busy week or we’ve had a particularly heavy night at a party or event then we might just cwtch up (cwtch – the BEST Welsh word , meaning cuddle) and watch a couple of movies back to back. Hubby brings me a cup of tea in bed every single morning without fail. He sets an alarm (or not if its the weekend). I never hear the alarm. He gets up and has 20 minutes or so to himself in the silent house then he brings us up a cuppa and we sit in bed and drink it. Doesn’t matter if its a busy workday and we have guest breakfasts at 7:30am or a leisurely weekend day, every day starts like this. I know, I’m a lucky woman. He is also brilliant at being the ‘voice of reason’; of keeping me calm; of cheering me up; and at reaching things of the high shelves. Baths. I love a long soak in a deep bath. My bathroom is a sanctuary. The ceiling has 250 fibre optic light spots drilled into the black tiles so its like bathing under the stars. I’ll light a few candles, give myself a facial, massage my feet and maybe have a doze. We seem to live in quite a unique place and lead a very fluid and unstructured life. Its very difficult to know what day it is most of the time (which is why I often miss out on linky deadlines or send out #thursdaythoughts on a Wednesday!). What this means is that its as easy to be too laid back and realise you haven’t connected with family properly for a couple of weeks. Especially if Son hasn’t had a visit home. This year hubby and I have promised ourselves bi-weekly date days so we actually go out and explore our local landscape and sights without an agenda that involves IKEA, B&Q or Tesco. We live and work together, so its not that we don’t enjoy time throughout most days in each others company but we realised that we were missing out on doing stuff just for us. Social media is a Godsend for me. With a son at uni and two grown up stepsons, their partners and a grandson, it enables frequent chit chat and exchange of photos and thoughts. Also with both sets of our parents and our sisters and brothers. I love it. Without it I’d be stuck. I’m not one for the phone for making calls. I don’t mind a text but I find the phone ringing really intrusive. I guess that’s because we don’t have a routine and the phone often rings at an inconvenient time. It might stem from when I (nearly) had a breakdown because of work. The job I had meant the phone might interrupt me any time day or night. I was ill for quite some time and the phone ringing would cause a panic attack. Nowadays I tend to let the answerphone pick up messages. With texts and messaging you can dip in and out as is convenient. With regard to slowing down. Over the past few years, having fallen foul of burn out a few times, I’ve really learnt to be much better at listening to my body. I will go for a nap when needed or I’ll escape to my bathtub or go and have a quiet night at a friend’s house . I’ve also become much better at saying ‘No’ without feeling guilty. I’m one of those people who sees an opportunity in everything and wants to help everyone so I’m always offering myself up to get involved in organising stuff, or helping or covering for someone. These days I still do that a lot but I can also bow out with grace if I need to regroup and chill. It also helps that I have such a fab son and Hubby. Both recognise the signs and point them out to me. Hubby never minds if I take myself off to bed for an hour or two or if I tell him I can’t answer the phone. And son, when he’s home, is excellent at prepping a meal for us all (I taught him well); failing that both are happy if I can’t be arsed to cook, with grabbing something from one of the village pubs all of which do their menu as take-out. Oh the joys of rural living. Wow! I’m sure you’ll agree Berni’s weekends sound lovely! Follow her on Twitter or Facebook. If you’d like to take part in the guest series please email me at admin@missionmindfulness.co.uk. Thank you! Next Post What is Life Like Now the Twins are 3? 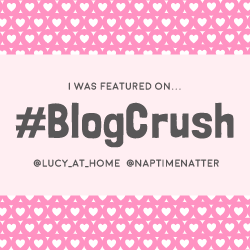 Popping back because someone loved this post so much, they added it to the #BlogCrush linky! Feel free to collect your “I’ve been featured” blog badge 🙂 Congrats!